In the past few years, marketing automation has become a hot commodity in the business world with many professionals reporting exponential gains in leads and profits due to these technologies. 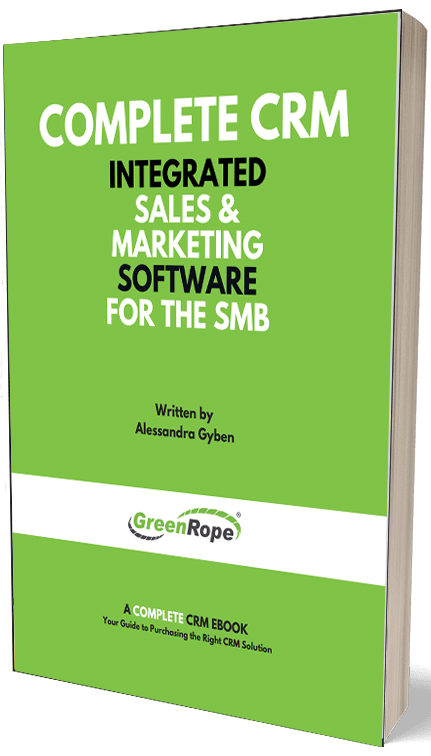 However, confusion about the correct approach needed to harness the power of marketing automation as well as sub-standard software offerings resulted in a number of marketing automation results ending in failure. Now, with proper education in how to ensure successful marketing automation campaigns widely available, the technology is shaping up to be the big marketing trend of 2016. Marketing automation is the use of software, technologies and associated techniques not just to automate certain tasks but also to assist in the planning, management, and analysis of marketing campaigns. Naturally, this is a huge time saver. However, it is not an AI system designed to completely take over the marketing side of your business; rather, it makes the process dramatically more efficient and effective. The goal of marketing automation platforms is to drive targeted traffic to your website or other internet presence and then turn these promising leads into customers. The Ability To Help All Types Of Businesses: Marketing Automation is able to help both large and small companies (which experience two very different challenges) due to its time saving and personalization abilities. With small businesses, it allows the limited staff (or even sole proprietor) to run a robust, successful campaign without having to dedicate all of his or her precious time to it. In larger organizations, the technology allows for targeted and personalized engagement with customers that was previously impossible. Consistent Engagement And Branding: Few things present a poorer image of a company online than an inactive or inconsistent social media account. With respect to email, it’s imperative to maintain a delicate balance between consistent, helpful updates and annoying spamming. This is a challenging full-time job for a dedicated employee and far too much to take on for anyone with other responsibilities. It is also important that a prospective customer visiting your various web presences is greeted with a recognizable brand message and image to solidify their connection and loyalty. Marketing automation excels in both of these areas. Detailed Customer Profiles and Analytics: With so many options, consumers today demand products and services that solve their particular problems - one size fits all marketing simply will not do. Marketing Automation allows you to build detailed customer profiles - both for your target demographic in general and for individual customers. This allows you to zero in on the right group of consumers, and the turn each lead into a customer. With even more information gained after a successful transaction, you now can leverage marketing automation to keep that customer in your fold. This goes hand-in-hand with the analytics features such software offers which enable you to see which parts of your campaign are succeeding and which need tweaking. Money Saved: While this is a core value such as time saving, the importance of this cannot be overstated. In order to run an equally effective and nuanced marketing campaign, the expenditure towards either the salary of a full-time employee or man hours towards a freelancer would be staggering. As previously mentioned, certain misunderstanding about and shortcomings in early marketing automation software resulted in businesses having poor experiences with the technology. However, these have been identified and addressed. As a business, you must also be aware of what to look for in a platform. Ease of Use: In the early stages, many marketing automation platforms were overly complex and quite difficult to use, especially for smaller businesses without a highly trained and dedicated marketing professional/team. Now, the software on a whole is far more intuitive. Be sure that you don’t immediately go for the solution with all the bells and whistles, but rather the one that does everything you need it to do with ease. Improved Analytics: Previously, it was sometimes necessary to obtain third party analytical software due to the onboard examples being of questionable accuracy. Now, they are by and large far more precise, and great for seeing current stats and offering predictions based on available data. Streamlined for Mobile and Social Media: These are two of the quickest growing areas of concern in marketing with huge potential revenues. As a result, the fact that marketing automation is making engagement simpler and more effective is key. Avoid simply automating the tasks you engaged in before acquiring the software. Use market automation to design a campaign best suited to the combination of this technology and effective inbound marketing for your particular organization. Then, use the analytics to adjust if necessary. Companies such as GreenRope can assist you in this process while providing many options with one that is sure to be right for you. Due to the ability to send out large volumes of emails, the temptation to begin general email blasts arises. This not only fails to nurture long term success, it may actually alienate leads that would have become loyal customers. By taking the time to target customers and provide them with the content they need, you’re building a relationship far more valuable than the one or two random sales spamming may net you. Constantly care for your campaign - and your customers. Marketing automation is not a ‘set-it-and-forget-it’ type platform, nor will a single adjustment guarantee success. Continuously keep an eye on what your customers are loving and know that this can change at any time. And while giving them what they want is great, responding to what they’re thinking will ensure a lifelong relationship.